You rip your CDs to a lossless format on your computer. 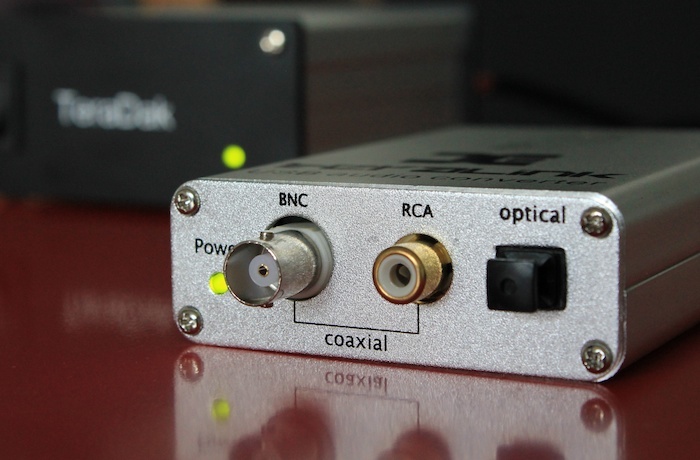 You buy an external DAC. 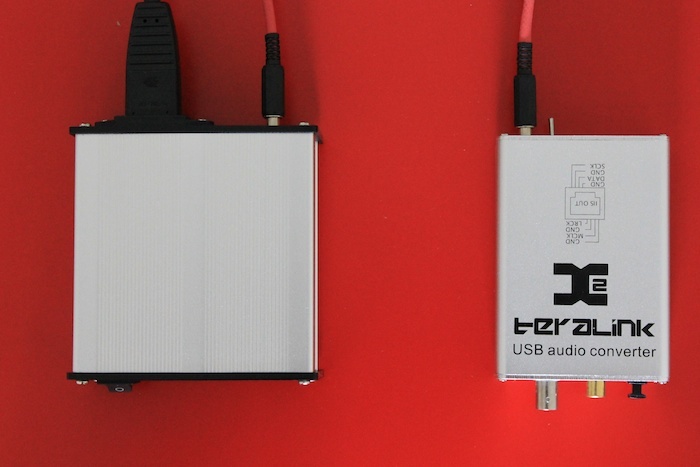 You USB-tether it to your computer and your digital audio journey begins. (You and CDs – it’s over). You are impressed by the convenience of it all – all your albums a mouse click or two away. No getting a CD down from the shelf, taking the shiny disc from the plastic case and inserting it into the CD player tray. Oh no. You are CDs are done. Like, totally. Weeks pass and you find yourself listening to music less frequently. You reach for a CD. It sounds better than your computer. WTF?! You were hoodwinked into a future that doesn’t exist! You demand a refund. You threaten to throw your DAC out the window or (worse) move to a vinyl rig. Not so fast, Batman. Digital transports are finally attaining the lofty heights normally reserved for the likes of Rega and Marantz CD transports. It’s been a slow train coming. Unfortunately, until DAC manufacturers take to implementing this rapidly evolving technology in their own products, the magic ingredient is still (sigh) another box. 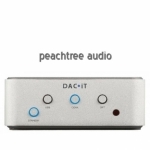 A box that sits betwixt computer and DAC. Think M2Tech Hiface/Evo, Audiphilleo, MHDT USBridge or Musical Fidelity V-Link. 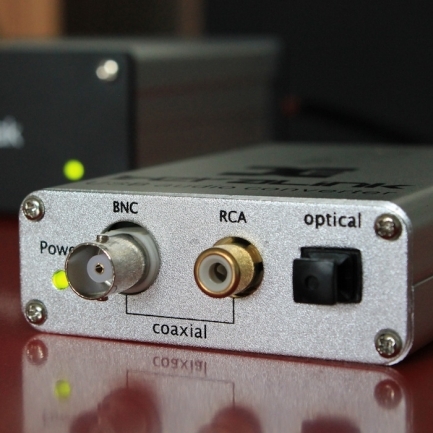 Predictably, such digital converters vary wildly in both specification and resulting sound quality. They also come with another series of concepts to wrap your head around: adaptive USB vs asynchronous USB, clock oscillators and (line-induced) jitter. 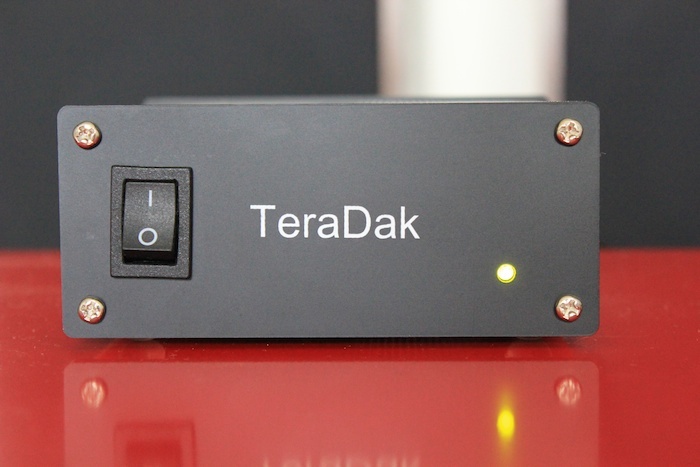 The TeraDak Teralink X2 (~AU$70) is a palm-sized box that converts USB to S/PDIF (or I2S – more on that later). Much like the Musical Fidelity V-Link (AU$199), the internals of the X2 run a single crystal (clock) that oscillates at 12Mhz, from which the 44.1Khz clock is synthesised by a PLL (96Khz and 48Khz sample rates are native). Synthesis matters – its artificiality has the potential to introduce jitter. Jitter degrades sound quality. 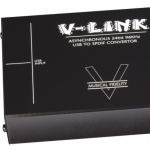 The USB-powered Musical Fidelity V-Link is of the (widely applauded) asynchronous persuasion. That is, the V-Link’s internal clock lords over its host: it instructs the computer when to sent it data. The Teralink X2 is more old-school with its adaptive data handling: the X2 is slaved to the computer. The host computer decides when to send the data. The Teralink X2 then assesses how much data is contained within each received frame and adjusts the clock frequency accordingly. The host computer’s inherent jitter can (theoretically) be passed on to the Teralink X2. Besides – and because of – its low price, I2S connectivity is what sets the Teralink X2 apart from its rivals. S/PDIF data transmission sees clock information bundled in with the musical ones and zeroes and then later extracted by a receiver chip (opening the door to jitter) before being sent onto the DAC chip. 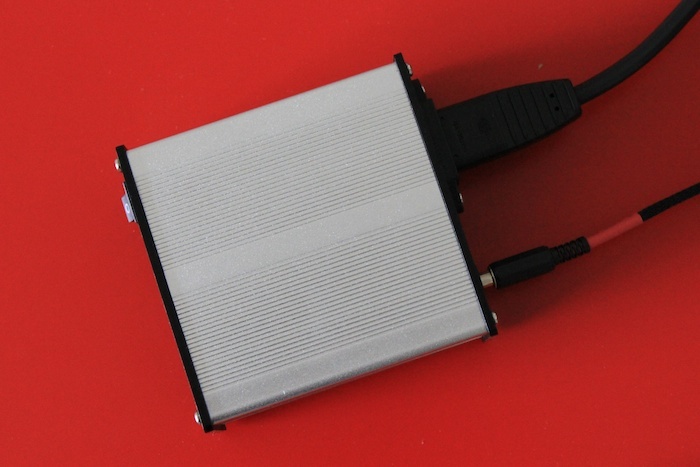 I2S transmission sends clock data independently of the musical bits – no intermediary receiver chip is needed for clock data extraction – so I2S can be wired directly into the DAC chip. Make sense? Mind bent? I bet that’s a “yes”. 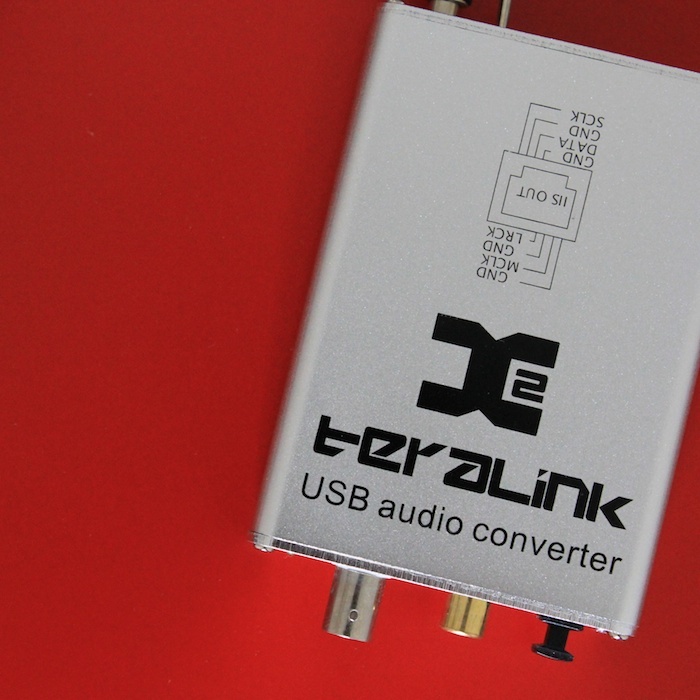 The Teralink X2 24/96 USB to S/PDIF converter utilises the Tenor TE7022 chip, has an onboard 12MHz clock and provides 2 x buffered (pulse transformers) coaxial outputs: 1 BNC, 1 RCA. Both can be used simultaneously without apparent loss of sound quality. 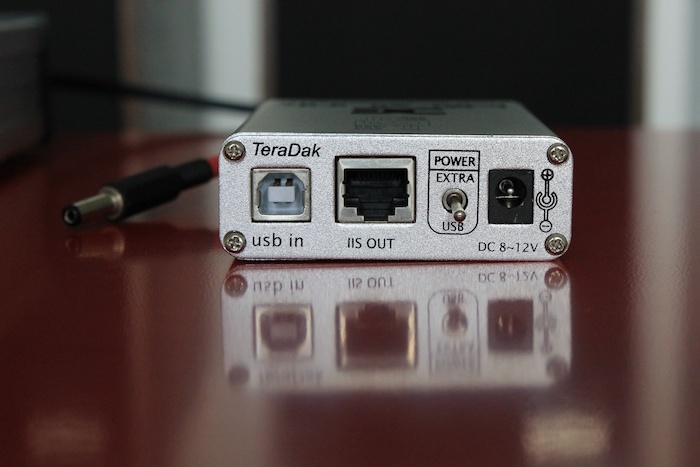 The Teralink X2 also provides buffered I2S output. 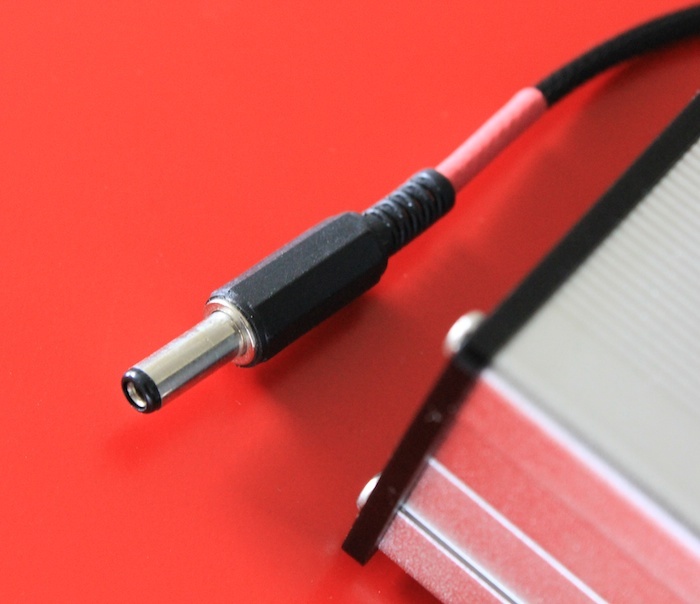 The buffering allows use of a reasonable length of connector, the I2S signal otherwise requires quite close – a few cms – coupling. I2S output is via an RJ45 socket with the output lines marked on the casing for construction of an appropriate connecting cable. Having a 12MHz clock means that the device’s native modes are 48 KHz and 96 KHz. An ASIO control panel and driver are available for download and I used these for my listening sessions. Upon initial setup the device defaults to a 48 KHz sample rate and requires setting to 16/44 via the control panel for playback of normally-ripped Redbook files. This will avoid (hopefully) unnecessary upsampling “on the fly” during playback which could conceivably degrade sound quality. 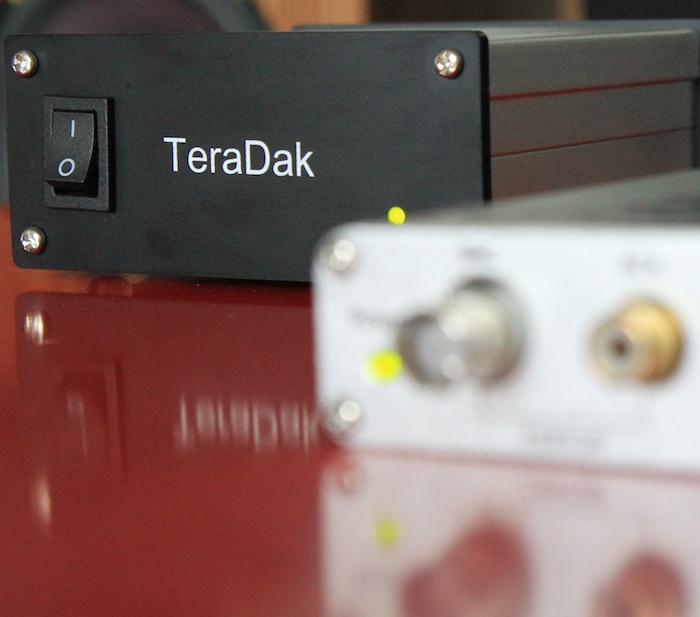 The Teralink X2 was tested into both a modded Beresford Caiman DAC and a DIYParadise Monica2. Listening was mainly at 16/44 and compared to an M-Audio firewire 24/96 and a Marantz CD player as transport. The Marantz has been re-clocked. The Beresford Caiman offers USB input using a PCM2902E chip used as a receiver before outputting S/PDIF to the Wolfson DAC proper. It also offers 24/96 decoding and was briefly trialled in this mode. It has no ready facility to utilise I2S input. The DIYParadise Monica2 uses an input pulse transformer and asynchronous re-clocking for S/PDIF input. For the I2S trials a different DIYParadise input board giving I2S -> EIAJ conversion was plugged into the DAC and analogue output stage (these being a separate module). The TDA1545A chip used is a NOS DAC chip and handles a maximum sample rate of 48KHz with – if recall correctly – a maximum 20 bits (any additional bits are just dropped). Its native signalling is EIAJ (not I2S), hence the converter input board. My listening tests were carried out over a lengthy period and the X2 allowed plenty of time to fully burn-in. The unit was used exclusively with its supplied external PSU rather than USB bus power (a switch on the unit allows selection). A USB isolation device based on the ADUM4160 device was briefly tried on a number of occasions without definite conclusion as to its usefulness with this device. The separate PSU may have contributed to this inconclusive result by obviating most of the potential gain from isolation of the USB power bus. Feeding the Beresford Caiman, I considered this device to be preferable to the native USB input of the Caiman (in addition to offering 24/96 over USB which the PCM2902E receiver chip cannot use). Compared to the M-Audio my feelings were equivocal with no clear “best” – both units providing more than just adequate input into a rather revealing back end of SE amp and 104 Db BLH speakers. Neither were as good transport as the Marantz CDP proved to be. Brief comparison was also made to a Terratec 24/96 soundcard providing S/PDIF – again with a slightly differing presentation but no clear best, cables could not be duplicated with this transport, although it used the same one as used with the Marantz CDP. Regarding 24/96 music: I have only a few tracks from the Linn free sampler download and concentrated on those most likely to tax components, a Mozart symphony movement and a choral piece from The Messiah. On these I had a preference for the M-Audio; although this was one occasion where use of the USB isolator did lift the performance of the X2 bringing it very close to the M-Audio. Feeding the Monica provided audible results that were similar to feeding the Beresford, equivocal, both very listenable but no clear preference. However, this changed markedly with introduction of the I2S interface where performance was lifted nearly to the standard of the CDP transport. Listening comparisons were carried out over many weeks and covered many different types of music, with the majority of the tracks being ones that I frequently find problematic. Much switching back and forth took place to confirm impressions as they were formed. Wherever possible, digital and output cables were kept the same to reduce extraneous factors. On the most difficult of tracks I am not certain that any combination betters my standalone CDP, but they all win hands down for convenience, particularly now that I have a significant proportion of my collection stored digitally. The computer hosting files is my everyday use computer, it has a total of 6 sound devices installed, onboard, internal Terratec 24/96, USB Terratec Phase26, M-audio firewire 24/96, Teralink X2 and the Beresford USB device. All playback was done using Foobar2K and ASIO drivers in parallel with normal computing tasks. In other words, my results should be easily replicable involving no PC or software specialisation other than appropriate drivers and settings. The X2 was NOT compared to the onboard sound which is known to be of lesser quality than the other devices. At the price of or cheaper than a quality soundcard offering similar facilities for playback, the X2 could be recommended as a viable alternative. Certainly I have listened to a lot of music over many weeks without feeling shortchanged. If you have an I2S capable DAC it is the only device offering buffered I2S at anywhere near the price. The other main contenders are the Hiface EVO or a JKenny-modded Hiface. I do expect the I2S version of the JKenny-modded Hiface to be yet another step up in sound quality however. As can happen, when you think you have finished with something, a little light fires in one’s brain and you try something else. Sometimes the result is “WOW”. I think I want to keep this thing. As I write this, it is sounding awesome via I2S: goose-bump stuff, duets where you can hear each singer pronounce each word. Songs where you stop the thing for a minute or two to settle from the emotional impact. Again, wow. I’m not an I2S kind of guy. I don’t go that deep down the rabbit hole (*yet*). Besides, I find it near impossible to completely abandon my huddled family of Squeezeboxen, so compelling in their user-friendliness: touchscreen control, iPad control, web browser control. The headless MacMini that hosts my song library can remain headless. And hidden. To move to the MacMini + USB converter would see me unifying server and playback client into one box. It would see me turning my back on Slim Devices (sorry – cough – Logitech). But why would I do this? None of the Squeezebox software emulators – Squeezeplay, SoftSqueeze or Squeezeslave – do both gapless MP3 playback and output via USB audio. I could move to Fidelia, Audivarna or decibel but those applications can’t manage a nightly music library scan and most demand a keyboard/mouse/screen. If your software can’t do all of the above, we have no deal. Fidelia gets the closest with its iOS remote control app and FLAC compatibility but still has some stability issues. Some time ago I detailed the hard work of John Swenson in cajoling the Squeezebox Touch into spitting digital audio output from its USB port. It worked a charm – but there were occasional “pops” and “clicks” from some asynchronous devices. Another deal-breaker. The JohnKenny Hiface couldn’t be plugged directly into the Touch’s USB port as it requires proprietary drivers. Another brick wall. But wait. The Teralink X2 requires no drivers; it is true plug and play. 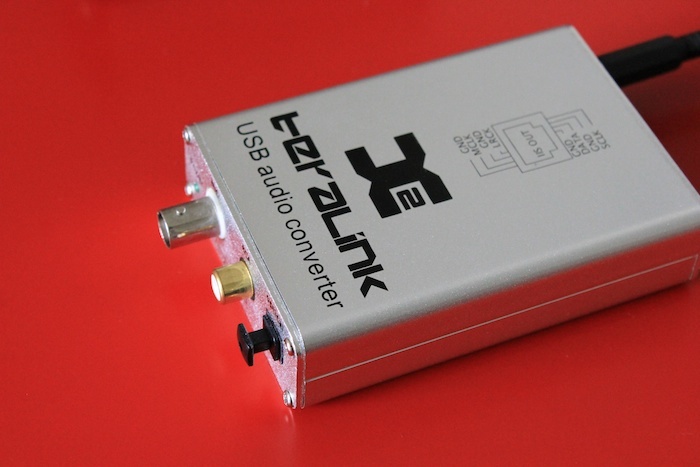 The Squeezebox Touch has been confirmed as offering low-jitter S/PDIF output. Hacked into the USB output of the Touch I noted some subtle improvements: diminished background hash, better anchored soundstaging (diminished confusion), improved front-to-back information (vocals emerge and then fade to black). Transient definition and (its twin brother) detail were also given a leg up. Maybe the USB output on the Touch is already a ‘cleaner’ sounding interface? Surely the Teralink X2 wasn’t bringing all this to the table? Yes, it was, BUT – and here’s the catch – improvements were far more pronounced with 24/96 source material. Most notably with the assistance from the X2’s linear power supply, the Teralink de-clags the Touch’s homogeny. It is brings greater clarity between the notes: brushes, vocals, guitar rhythms, basslines are paradoxically better separated and more coherent. And from separation comes “togetherness”. Overall, the presentation is wetter with more sparkle (that’s Darko speak for “improved precision and overall transparency”). Think: a road surface after a light spring shower. Some possible downsides: That the upper midrange shows a hint of glare with 16/44 files might not be too every listener’s tastes. 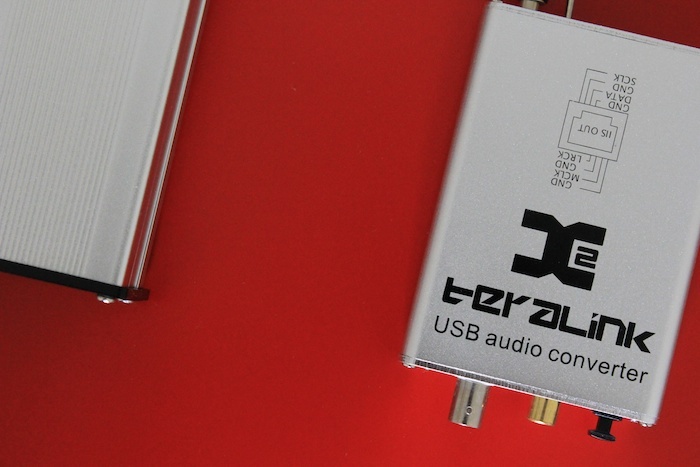 Moreover, TeraDak’s box brings the additional “Which USB cable?” conundrum to the user’s door. Is the average user really gonna drop several times the cost of the Teralink on its connectivity? Probably not. 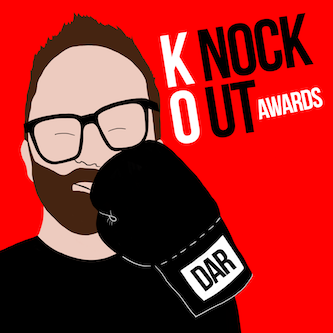 Know that the above results (improvements!) were achieved despite the use of a vanilla/beige (printer-friendly) USB cable. However, the X2’s adaptive USB handling means it can tread where the V-Link cannot. The latter still suffers from click/pop sonic infection when deployed with John Swenson’s Squeezebox Touch USB output hack. Remember that asynchronous issue? Swenson thought he had a fix, only to see more problems arise. At around AU$140, this could (possibly, maybe) be a very good (but not definitive) bang-for-buck upgrade available for the Squeezebox Touch. The linear power supply box is a real boon for those who are generally allergic to the electric-pollen infection of switching types. 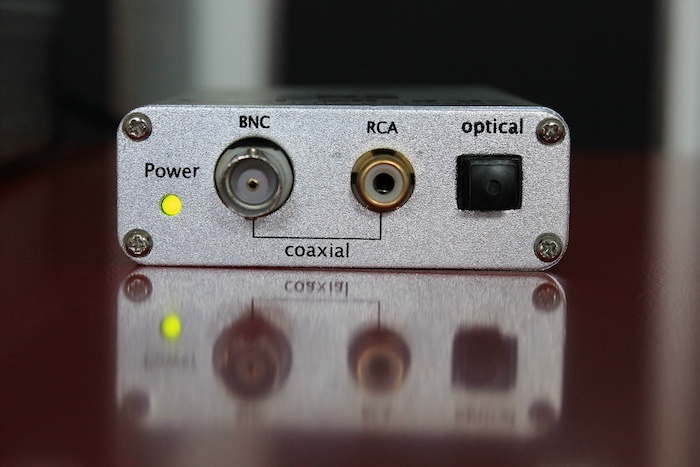 (The PSU can also be tweaked to deal with the Muse Mini 4 x TDA1543 DAC in a linear fashion). Since its local launch, Logitech Australia have dropped the sticker price on the Squeezebox Touch: one can now (May 2011) be snagged for under AU$300 (down from AU$500). That makes it an incontestable bargain – a boda fide 5-star purchase in its new price context. 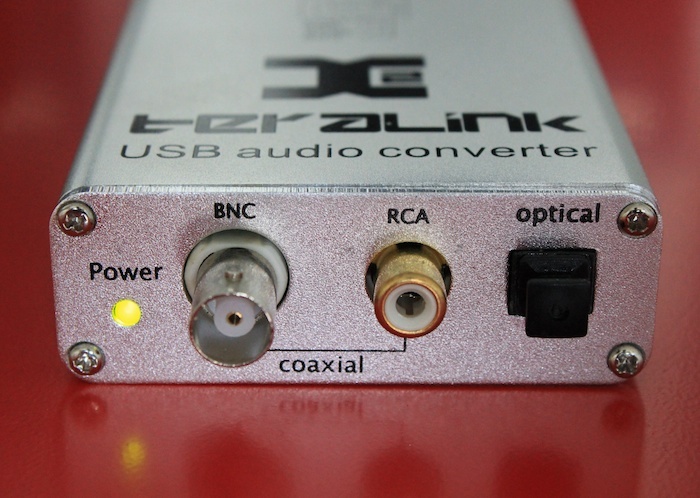 Whether audiophile folk are happy to drop a further AU$140 on the Teralink X2 + PSU is another matter. If you don’t require the additional linear PSU, the Teralink X2 spend can be shaved to AU$70 (ish) – eBay is your friend. …and I thought I’d string y’all along to the very final paragraph to assert that the Teralink X2 isn’t as immersive or detailed as the John Kenny modified Hiface MK2 (when hooked up to a 2010 Mac Mini). Overall, a bona fide curate’s egg but nevertheless, a budget-friendly entry into the swiftly-expanding market of digital transports.